Keep Hydrated: Drink Your Water! Home Blog Keep Hydrated: Drink Your Water! How much water a day do you drink? Like most people I can assume it is not enough. There are a lot of different studies and opinions on how much the average person in the US drinks. Overall, the average american seems to be drinking only 2 glasses of water a day. It could be higher or lower than that, but I predict that to be a pretty accurate number. I am sure you have all heard of the classic 8 glasses a day figure. That equals around a half a gallon of water. Well guess what? This is a great number to shoot for! However it definitely does not hurt to drink more. I like to tell my clients to shoot for ½-1 gallon a day. There are some reasons for this. Reason 1: It makes you feel more full. It works as a natural appetite suppressant. Just think about it, you are filling your stomach with tons of fluid. In turn you will feel more full. Reason 2: It has zero calories. Replacing all of your other high calorie drinks such as juice and soda with water causes an instant reduction in calories. 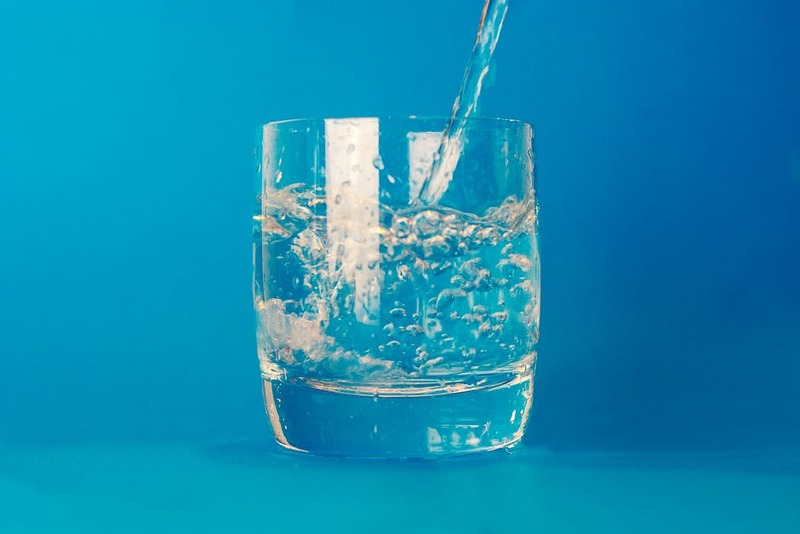 Reason 3: Water helps with energy levels and pretty much anything having to do with your body (including skin health and even regular bowel movements). Your body is made up of over 60% water. The more you give, the better it is going to perform. Obviously you can over hydrate, as with anything taken to the extreme. But that is pretty difficult to do. The easiest way to get all your water in is to get a ½ gallon container or a gallon container. Fill it in the beginning of the day and then finish it by the end of the day. This will ensure you get the proper amount. The only issue with this is that it could get warm depending on where you are storing it. Ever heard of the UFC fighter Joanna Jerdrzejczyk? Her trainers do something pretty unique when she is prepping for a fight. They fill a gallon water bottle every day for her to drink. On the bottle they have lines for water levels. At certain levels it will say different motivating things such as “Almost there!” “You can do it!” Don’t give up!” Along with of course comical ones as well. They do this to help make drinking that bottle a challenge that she will not lose. A gallon is a pretty decent amount of water that for some people will be difficult to drink. Over time though if you consistently do it, your body will adapt and it will become much easier. An alternative would be to keep track of how many glasses you drink during the day. You could have a checklist or simply mark it down on your phone. I will keep this article on the shorter side because there isn’t too much more to say besides DRINK YOUR WATER! Your body will thank you for it.